Hello, my name is Sean and I am in my second year on the B.A. 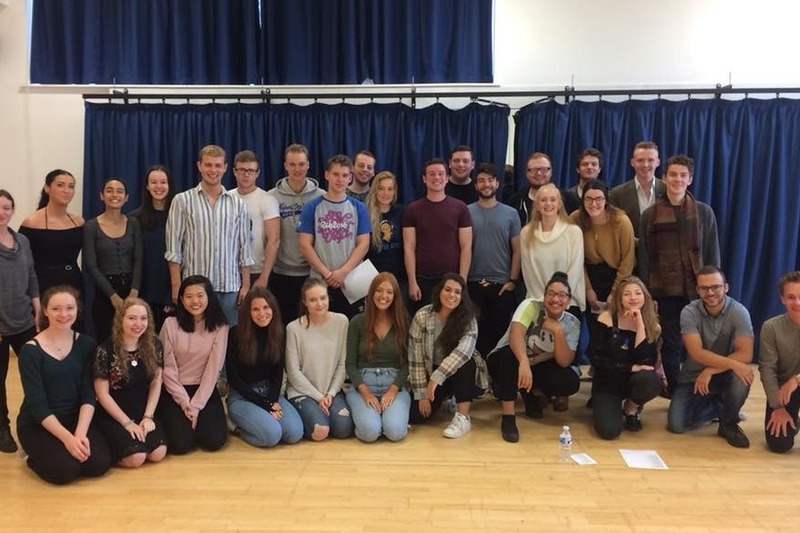 Acting course at the Guildford School of Acting. The past 18 months have been incredibly difficult. In 2017 I was lucky enough to get to start training at my dream Drama School, however as I already had a degree, I would have to pay for my tuition myself. This decision was fully supported by my mum who single-handedly raised me from the time my father passed away when I was three months old. She had been employed in the same job for 23 years and had no reason to believe she would be out of work for the foreseeable future. She undertook to help me financially get through my training. Unfortunately, as I moved to the UK and began my training, she simultaneously became out of work and fell very ill. Suddenly, we found ourselves in separate countries with no real source of income between us. We managed to survive until January with the hope of resolving the issue. At this point, after not being able to afford the first half of my fees, and falling behind on my rent, the university finally said enough was enough and I was to be excluded from the course. In order to pay the outstanding fees, and insisting I wouldn't leave the course, my mum sold some furniture, our piano, and our car. This allowed me to remain on the course, however I was removed from my room in halls and was made homeless. I had nowhere to stay between January and March. Most of this time was spent either hopping from couch to couch in different people’s houses, or spending the night in the library which is open 24 hours. I must admit that this period was undoubtedly the most difficult of my life. However, I was determined that I wouldn’t allow it to impact on my training. I am very proud to say that during this time, my work never suffered. I was never late to class. I didn’t fall behind in any classes or projects. And although my personal circumstances outside of GSA had been difficult, I never for one moment stopped enjoying every aspect of the work. In March 2018 my mum decided to move to Guildford. This way, we would share a rent and bills and it would make it easier for both of us to survive. Over the rest of the year, my mum would go on to have a number of operations and had a long road to recovery. But we managed to get back on our feet mostly. And with the help of credit cards and loans, I managed to get the rest my first years fees paid. It's been an incredible difficult time, but we are just about managing to get by month by month with our new lives in Guildford. However, I'm still in a position where I am stuck with massive university fees that need to be paid. A years fees arrive at a massive £9,250. Luckily, after an audition, the very generous people at The McGrath Scholarship have awarded me a £2000 scholarship to go towards this years fees! But I still have a massive way to go. This is where, if you are in a position to, you can help. Any donation, large or small, even if it's the price of a coffee, will help me build up to raising the rest of the way to paying this years fees. I understand that over £7000 is a mammoth goal to fund raise for, but I will also be fundraising in lots of other ways too. In the next few months I plan on holding some concerts, table quizzes, and finding lots of fun ways that can help me reach my goal. In the meantime, thank you so much for your consideration, and if you find yourself in a position where you can help me keep following my dream, I will be eternally grateful.